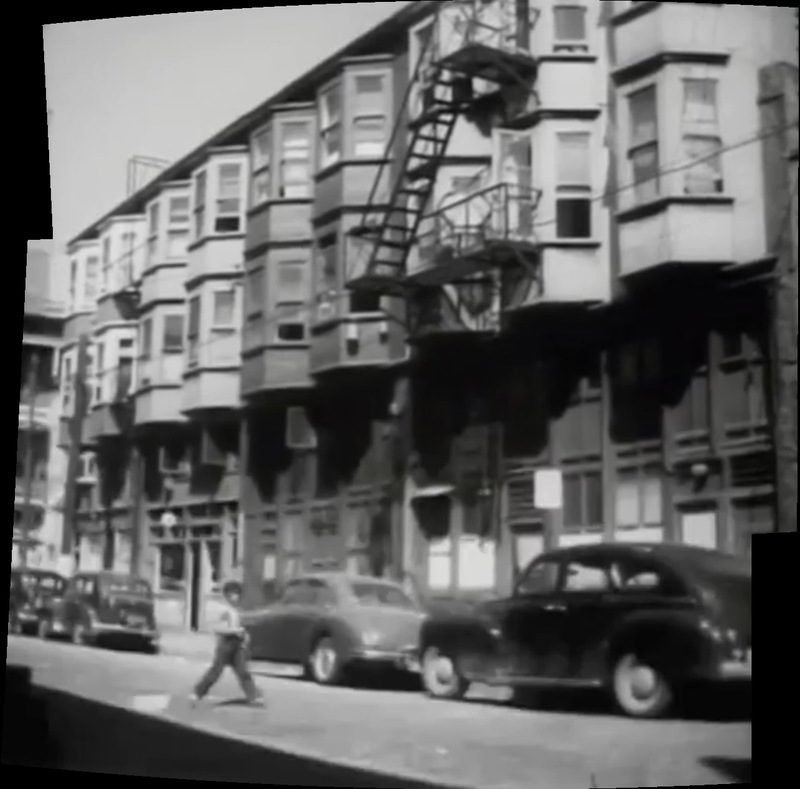 Here’s a screen grab from the fabulous 1956 CBC film Summer Afternoon which follows two boys around Chinatown. There are many great images of a long gone landscape. In a brief segment the two are seen climbing over the gates to Canton Alley and then wander down Shanghai Alley. There are very few good images of Shanghai Alley, and even fewer that show the buildings on the east side of the street before the majority were demolished. This image is a screen grab of two shots that have been stitched together to show the stretch of buildings erected in 1905/06. The west side of the alley was never something to look at, as it was the backside of the tenements of Canton Alley. 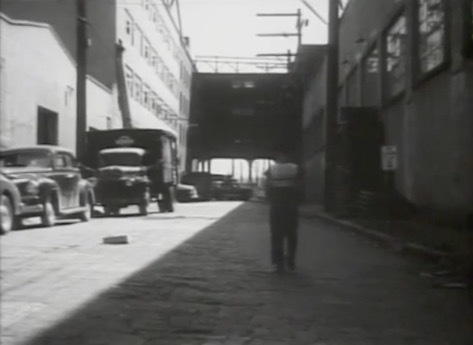 The southern end of the alley had been demolished in the 1940s for warehouses, seen in this image from the film. Watch the whole 28 minutes, it’s great fun.